Gain a deeper understanding of PLCs, learn the importance of common formative assessments, and develop techniques for designing effective common formative assessments. In this conversational guide, the authors offer tools, templates, and protocols to incorporate common formative assessments into the practices of a PLC. Understand the background, rationale, and strategic steps for planning and implementing common formative assessments in a PLC at Work™. 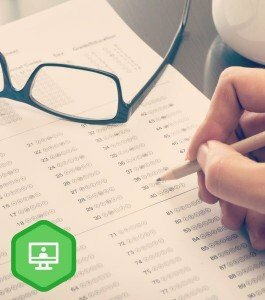 You'll gain a deeper understanding of PLCs, learn the importance of common formative assessments, and develop techniques for designing effective common formative assessments. Quizzes, personal reflections, and writing assignments will be used to assess learning and competency. Explore the big ideas, and discover best practice for working as a team in a professional learning community. Discover the benefits of common assessments and their role in providing equitable education. Learn what and how to assess, develop assessment plans and timelines, and write effective common assessments as a team. Acquire ideas for involving students in the assessment process and methods for sustaining effective assessment.